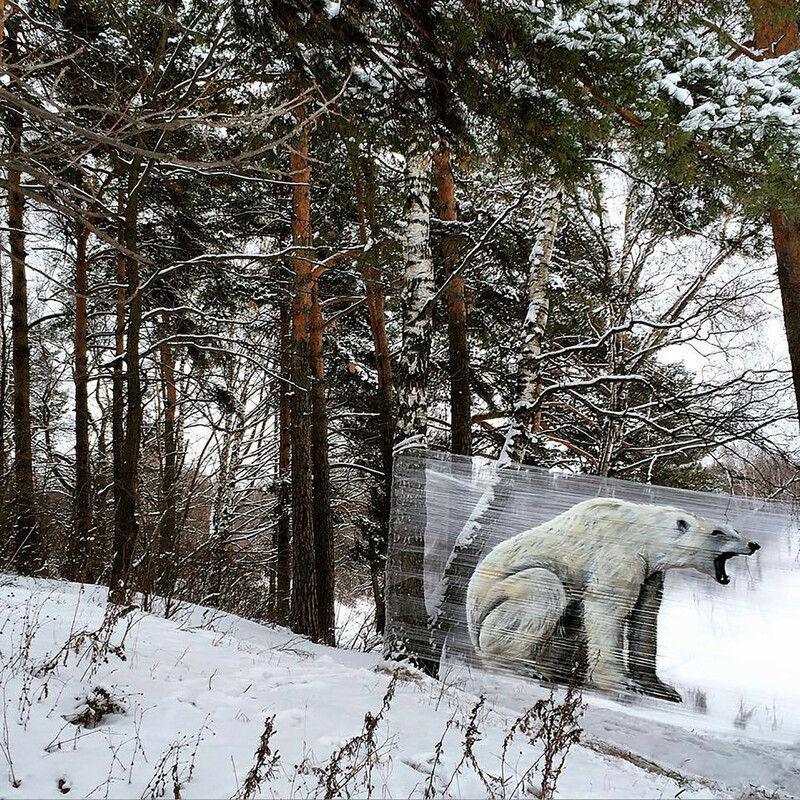 This Russian artist is creating lifelike animals without harming the environment. 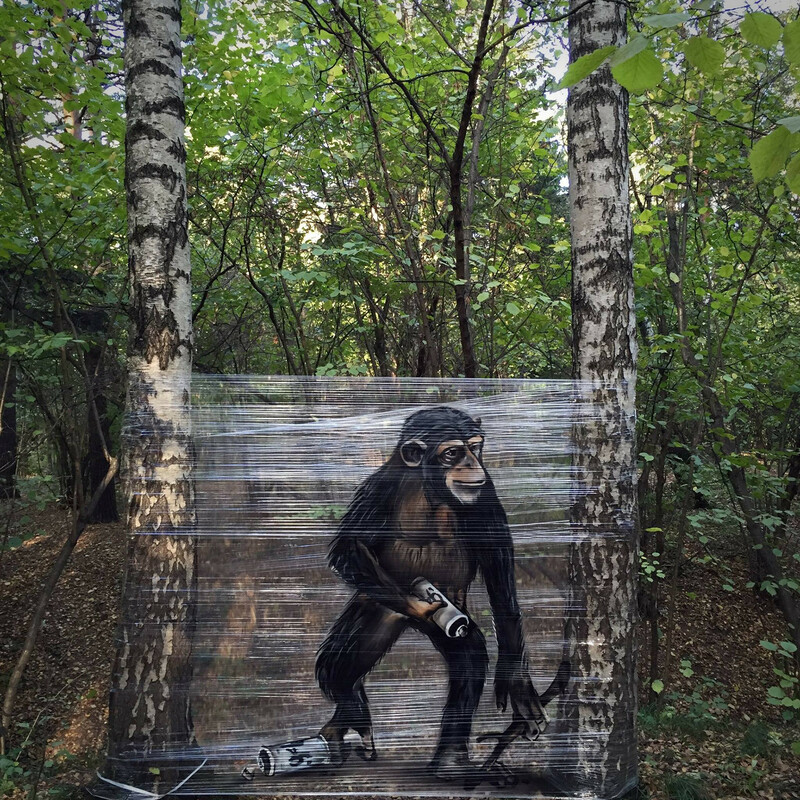 Moscow-based artist Evgeny Ches is a big fan of CelloGraff, a new type of graffiti art. 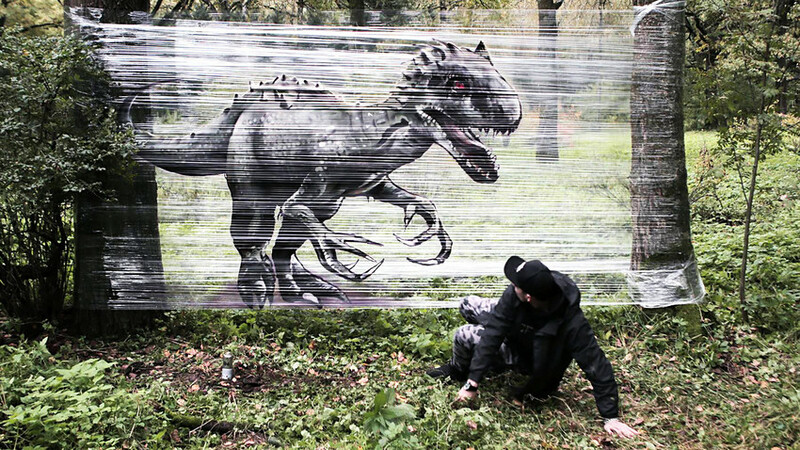 Instead of spraying walls and the sides of buildings, the technique uses a sheet of cellophane stretched between two trees - or other objects - as a canvas. 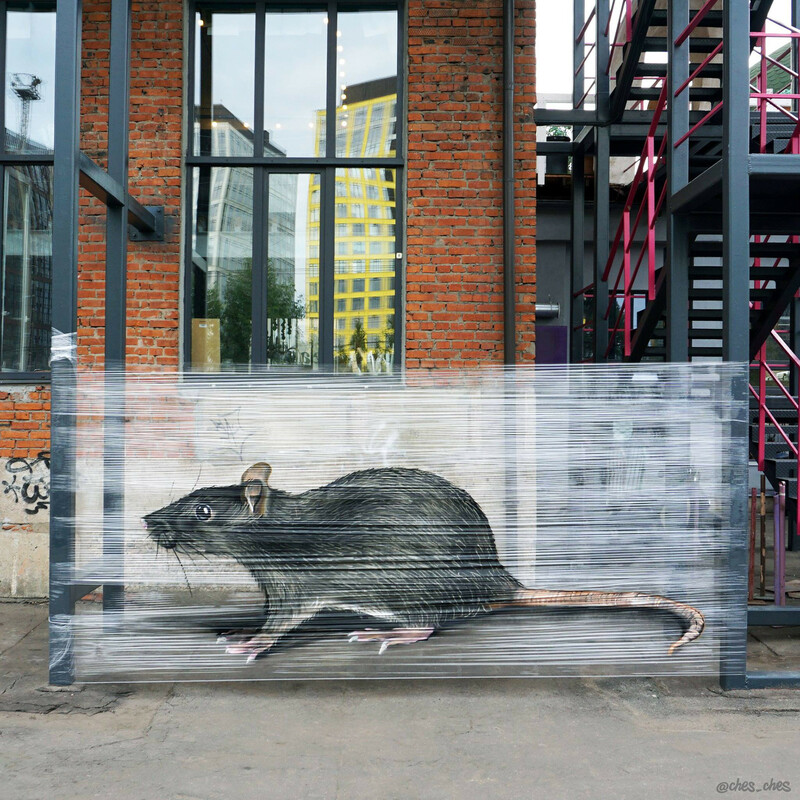 He started painting animals in a bid to increase his audience, whereas before Ches’ fans were mainly only interested in graffiti art. Sometimes he walks three hours to find a perfect place for his CelloGraff. The artist also takes them down after a while so he doesn’t pollute the environment. 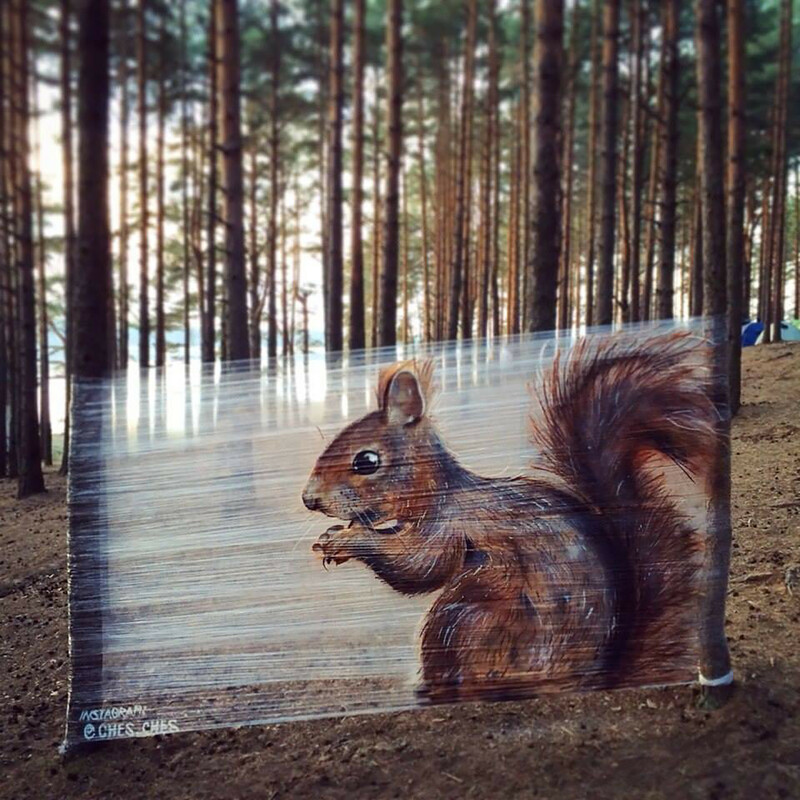 Ches’ animals look incredibly real, but what about these ultra realistic paintings that look like photos. What is the distinguishing feature of Russian graffiti?